Relative to the previous two articles on noble surnames and the Lakan Genealogy, today I will discuss briefly another common mistake that many Filipinos commit when they make their family trees. For some unknown reason, Filipinos are extremely oversensitive when it comes to the use of titles. A college professor gets slighted when she is referred to only as professor, and not a doctor, if she already has a Ph.D., or perhaps a lawyer would feel insulted if called a "Mr." instead of an "Attorney". I once spoke with a barangay councilor on the phone who greeted me with "good morning this is Honorable First Councilor *FIRST AND LAST NAME*". A short walk around a cemetery, any Filipino cemetery, would give one a sampling of just how important titles are to us that even in death we wish to be memorialized with these titles. For eternity. These titles today are sources of pride for many Filipinos, and, for the social climbers, these titles are sure signs of social standing. Such titles also adorn the family trees that are found in genealogy books as well as those that are blown up and displayed on the walls at home. Here were see not just Drs. (Doctors) and Attys. (Attorneys) but also Frs. (Fathers), Sis. (Sisters), Engrs. (Engineers), Profs. (Professors), and so much more. And, if we are lucky enough to see family trees that go back to the Spanish period, then we see other titles such as Don, Doña, or even the more ennobling Sr. Don (Señor Don) or Sra. Doña (Señora Doña). Many people trace their trees hoping to find at least one "Don" in their relatives as if this would somehow make their history better. While I respect people's reasons for doing genealogy in my experience having a Don in the family tree is nothing but a quaint footnote in our history. Some people go as far as memorializing this title through the name of public markets, schools, streets, cultural centers, and other edifices In my humble opinion, a DON CRISOSTOMO IBARRA High School does not really ring anything to the listener. It just tells us that someone had enough money to donate the land or materials to build the school. That he was rich and prominent. All shallow and downright useless. But since we are talking about the title Don, why don't we set the record straight as to who has the right to use the title. First of all, the title DON is not an acronym for De Origen Noble, as what some people like to believe (maybe to make them more royal, I suppose). In fact, the title Don is the Hispanization of the Latin word dom, which means master or owner and was used as a title of sovereignty in the Roman times. As a title with such lofty roots it was then originally used only by members of royalty, the nobility, and church dignitaries. When the Spaniards came to the Philippines the first to use the title were those of high rank in the various expeditions that visited the Philippines. When Legazpi conquered the Philippine islands for his king the former rulers of each barangay or pockets of kingdom throughout the archipelago were granted the privilege of continuing to govern their respective barangays, but this time as agents of the Spanish crown. These nobles became the cabezas de barangay and the gobernadorcillos of each pueblo or town and were known collectively as the principalia. bearing the titles Don and Dona. With the formation of the principalia class also came the benefits. The principales of each town were exempted from forced labor and from paying tribute. It is not clear whether the earlier laws covered ALL members of a principales' family members, but later laws in the colony limited these perks to the wife and eldest son of the principales. This was true among the descendants of Lakandula, Soliman, Matanda, and Mojica. These clans were known as the super-principalia class, which then made them socially higher than the local principalia. These four families had the distinct advantage of having all members enjoy all these perks. However, later Governors-General of the colony revoked this blanket privilege and limited it to the male line and their eldest sons. Thus, this should be the first lookout for those with principalia antecedents. So while your cabeza or gobernadorcillo ancestor carried the title of Don, only his wife was permitted the title Doña and their eldest son the title of Don, as well. So if your ancestor was a only a second or even younger son or a daughter then he or she should not be listed in your family tree and/or history as having the title. List of heirs of former cabezas and mestizos. have the title of Don anymore. 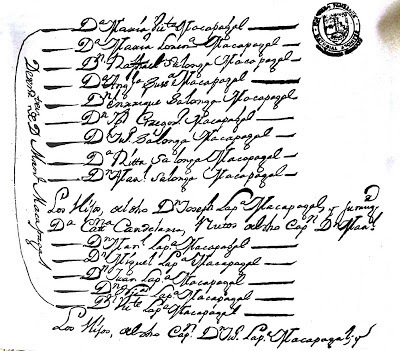 It would appear, however, that the title was not granted for life because in several Reservados por Priveligeo documents in the National Archives the herederos or heirs (the eldest son, mostly) of former cabezas and gobernadorcillos were still listed as exempted from tributes but were listed down without a title. So it would appear that the privileges of the principales did not extend to the second generation. Most Spaniards and Spanish mestizos in the Philippines were also addressed as Don, although this was not exactly indiscriminately given to just any Spaniard or Spanish mestizo. In fact, Spaniards who were of a lower social standing were never addressed as Don in archival records. Some attained such title when their social status improved (i.e. they became rich and prominent). In the same list of exempted individuals at least three mestizos were identified but none bore the title of Don. The priests in the Philippines were also addressed as Don, and based on church records both the Hispanic and the native priests were addressed as Don. The Chinese immigrants as well as the mestizo sangleyes also attained the title as their prominence and wealth became too much for the Spanish authorities to ignore. Thus, even before the Americans came, there were many Chinese and Filipino-Chinese men who were addressed as Don. Later, when the Spaniards left and the Americans took over the title of Don lost all its aristocratic trappings and was simply used by the prominent and the wealthy, regardless of their antecedents. Thus, more and more people appeared in newspapers and documents bearing the title Don and Doña. Today, of course, the title is an anachronism. Many of the genealogists I know also snort with derision when people get excited at seeing their ancestors written as a Don or Doña in church and other records. For me, I suppose there is no harm in calling your ancestor as a Don or Doña provided they were granted that title. We must always remember that regardless of our ancestors' title (or lack of) we still learn a lot from the life they lived and led.Genealogy, after all, is not just about the titled, but also about the nameless in history. 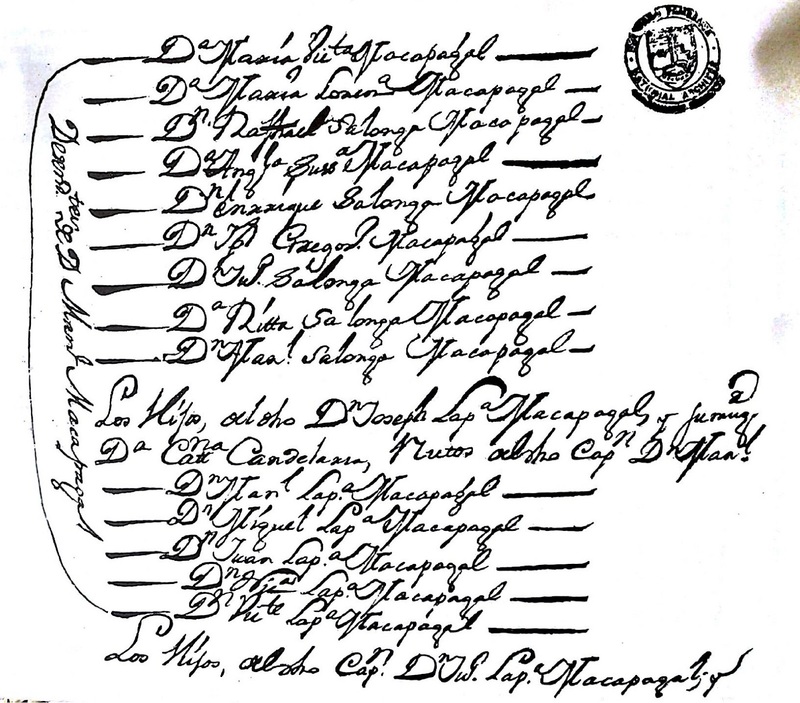 Scanned copies of the archival documents from the Philippine National Archives. Awesome post Todd! I don't use titles, for the reasons you mentioned basically, but to some extent, I guess some that carried the titles I automatically omitted them. Even with my own ancestor people would refer to him as Judge Samuel but I don't refer to him as such, even if records mention him as that. It's one thing to recognize the titles they had, whether earned or born with them, etc. But another to think that this, as you said, makes them a social climber. Unfortunately I see this often with Filipinos and most get into genealogy for this wrong reason but actually I also know that this isn't a specific Filipino problem but for people who are doing genealogy. I was just reminded of this yesterday after receiving a bunch of nonesense paper work from the Genealogical Society of Hispanic America and the talk of bylaws, titles and who knows what else. I almost threw it in the trash but they expect a response from me. People are more concerned about the titles, the way an organization is run, handled & most importantly WHO was instrumental in all that, rather than really doing what the group's purpose should be, which is helping with genealogy. Genealogy has changed in the past 25 years since I started and everyone no longer cares about learning about an ancestor's life from a non-bias view, but rather seeing how that person's life could benefit (in the genealogist's eye) their own. Thanks for the comment. Your article is one of my sources for a longer version of this article. I am currently writing a book on tracing Filipino genealogies and majority of the articles in the book are in this blog, albeit more detailed ones. 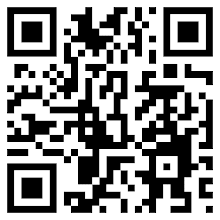 Yours and Mike Cullinane's articles are important foundations of many of my articles. As soon as I am done I hope I can have your opinion about the manuscript.